It’s time to pedal hard. 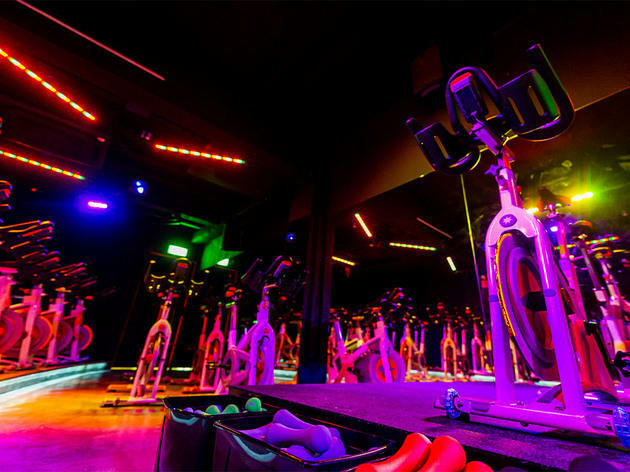 Here are our favourite Spinning Studios in Singapore! TL;DR – You want a hot body? You want a Bugatti? Want to burn those fats from the festive snacking? Then it’s time to pedal hard. If you have not heard of spinning, it is a high intensity workout that takes place on a stationary cycling machine. More often than not, the fast-paced group pedalling, music and a good motivational instructor can keep you going hard and strong on that bike. Here are our favourite spinning studios in Singapore! If you love competition, you will love the classes at Anthem. Offering a mix of high energy workouts, the classes here aim to make you stronger and what better way to do this than to see your performance results in real time on the big screen. Anthem Sweat is a non-cycling high-intensity circuit class for strength and conditioning. For something of various intensities, you can try Anthem 45 which combines cycling with weights, upper body and core workouts or if you’re up for a hike, Anthem Road will push you through challenging terrains, hills and some serious intervals. If you love spinning but don’t feel like breaking a sweat, why not try Aquaspin? Don’t think that spinning under water is easier. In fact, because of the water resistance, you can actually lose about 800+ calories in a session. The combination of high-intensity cardio and full-body toning, all while being gentler on your joints than regular spinning, is just the perfect class for beginners to start with. They say there is strength in numbers and that is what CruCycle will have going for you. Illuminated with deep blue light, the studios here give off good vibes as you hit every part of your body to top hits by The Chainsmokers, Kanye West and more. Each themed class is 50 minutes sweat-inducing long, complete with dance, dumbbell and abdominal exercises. 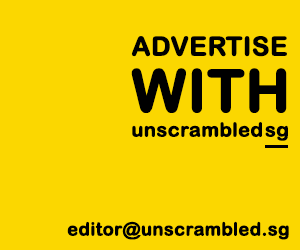 On top of this, you can stand a chance to win free CruCycle classes and other attractive prizes every once in a while, through their challenges. Physique360 is not your regular spinning studio. Blending regular spinning with kranking on a krankcycle, which looks like an upturned bike with hand pedals that power a suspended flywheel and instead of foot pedals, you get on a low stand that is wide enough for you to do lunges. Get ready to feel the heat with a 360-degree full body workout! Housed in a 3-storey heritage shop house on Boon Tat Street, 7Cycle has a 36-bike theatre – which is considered pretty huge for a spinning class and a 10-bike training facility. The classes are a fusion of circuit training and spinning, boot camp style. Signature 7Cycle combines cycling with weights and cardio intervals. For something of various intensities, 7Cycle Road combines endurance and performance, similar to an outdoor ride. If you’re up for a quick and effective workout, 7Cycle Bootcamp is a 35-minute high-intensity interval training (HIIT) workout that floor exercises at different stations and cycling on the bike with recovery and sprint phases. After every class, you can view your stats for the class via email, so that you can compete with yourself and others the next time. Next PostWatch: CNBC talking about Changi Airport aka "the world's best airport"